It doesn’t matter what sector you operate within, KBR can provide a WiFi solution that is bespoke to your organisation’s individual needs. How can I protect my organisation from mobile phone hackers? The use of smartphones and other mobile devices is increasing year on year, and this means that cybercriminals are becoming savvier in the ways that they hack devices. To counteract this, you need biometric log-ins, restricting access to that of your thumbprint or fingerprint ID. You should also make use of on-device encryption, which is designed to detect potential data breaches. By regularly updating your device, you’ll also be able to protect against security weaknesses when connected to a wireless network. Remote find-and-wipe tools will ensure that your information and data is safe even when the device has been lost, which makes it even harder for criminals to access your data. In addition, to counteract phone hackers when connected to a WiFi network, change your passwords regularly and do not store credit or debit card details on a mobile device – always re-enter this information when you need it. To find out more, visit our Network Security page today. How can I make sure everyone in my organisation is digitally educated? For the digital native, children and adults alike should be surrounded in digital technologies such as WiFi and other smart technologies, so that awareness and continued use are two key priorities within any organisation. For learners, children should use technologies within their problem-solving activities so as to produce more open-ended discussion associated to wireless technologies. For adults, using wireless technologies on a day-to-day basis should help to improve familiarity and awareness regarding the latest digital technologies within the workplace. Personalised device solutions for adults and children, such as an individual smart device, will help improve their learning and familiarity through using their own personalised device, which will help them to understand exactly how a device can contribute to their own individual way of working. You can also learn more about our work in Education and Enterprise today. How can teachers and parents protect children from harmful content online? Protecting children from dangerous content online, both at school and at home, is always a continuous challenge. To do so, adults need to be vigilant and aware of how they can make the internet a safe place for children to browse freely. By following these three steps, you can help to ensure that your children are always safe online. · Limiting web applications. By protecting and limiting the web applications that children are exposed to online, they are kept safe from hackers that attempt to reach them and potentially expose them to harmful content. By purchasing a web filtering solution from KBR, you can ensure that children stay safe when connected wirelessly. · Web filtering. When a child opens a web-page for the first time, they can run the risk of being exposed to dangerous content, or opening malware or spyware. To counteract this, web filters can be implemented to stop children accessing dangerous websites by blocking access to their content. · Spam filtering. By establishing a comprehensive email system that filters spam, KBR can provide you with software that detect spam-like messages that are sent to a child’s inbox, which limits their exposure to dangerous or malicious online malwares and content. What’s the difference between WiFi vendors? 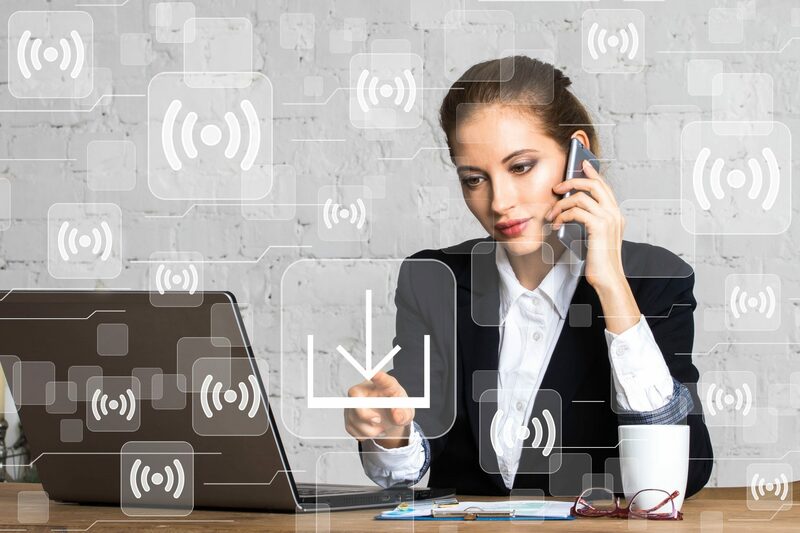 Now more than ever, WiFi vendors need to provide organisations with a solution that keeps users connected at all times, can be utilised by multiple devices, and is protected from malicious content and malware. At KBR, we can provide your organisation with a solution that unifies network connectivity and application security, which helps to provide market-leading network connectivity, visibility, application control and online safety. An infrastructural solution can be deployed through a unique channel management approach, which helps to provide unique reliability and traffic isolation advantages. My network performance is slower than usual, what’s wrong? You may have WiFi blind-spots within your network. What this means is that your device cannot pick up a WiFi signal depending on your location. Ensure that your access points are in the right formation for maximum coverage if you want to ensure a reliable connection. As wireless connectivity becomes more popular, wireless networks can interfere with one another, causing signal-strength to lessen. To ensure minimal interference, KBR can recommend the correct frequency and installation for your organisation. When many people attempt to connect to a WiFi network at the same time, this can often jam the signal and decrease signal-speeds or leave users disconnected. By investing in high-speed equipment, KBR can provide you with a WiFi solution that offers high throughput speeds, which keeps performance and network reliability at a high level.